At its Spring 2001 meeting, the Mississippi Tennis Association Board of Directors approved the establishment of two scholarships for entering freshmen at a two year or four year community college, college or university. In the spring of each year, a committee comprised of the Chairman of the Junior Tennis Council, a representative of the MTA Board of Directors, and a representative of the MTA staff will choose from among qualified applicants, a male and female recipient of a Scholarship which will be renewable for four years at $1000 a year, for a total Scholarship amount of $4,000. 1. Applicants must be a resident of Mississippi and a USTA/MTA member. 2. 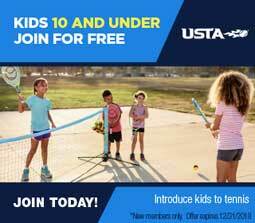 Applicants must be, or have been, an active participant in one or more of the following USTA youth tennis programs: USTA School Tennis (USTA Tennis - NJTL, USTA Team Tennis, USTA Player Development), MTA sanctioned tournaments and/or STA level programs including tournaments, or Southern Junior Cup. Applicants must have demonstrated the highest level of sportsmanship in their tennis endeavors. 3. Scholarship Applicants must be entering into the first year of undergraduate studies. 4. Applicants must be seeking admission or have been accepted as a full time student into a community college or four year college or university. 5. Applicants must have performed with distinction as student body members at their high schools. The Applicant's involvement in extracurricular activities, course work, community service, commitment to pursuing a career and promise of academic success will be considered. 6. Applicants receiving full scholarships in the sport of tennis from their respective schools are not eligible for the Scholarship awards. Each recipient of a Mississippi Tennis Association College Educational Scholarship is eligible to receive a total of $4,000 over four years. The Scholarship is renewable annually based upon the recipient's enrollment with his/her collegiate institution and his/her maintenance of a "B" average or better. Each recipient is expected to enroll as a full-time undergraduate student as defined by his or her undergraduate institution, no later than the beginning fall semester or term after notice of selection for the Scholarship. If circumstances arise whereby an awardee is unable to enroll or is unable to use the award in the beginning of the fall semester or term after notice of his/her selection, the recipient must submit a written request for deferment to the MTA Scholarship Selection Committee. Each request will be reviewed and determined on a case-by-case basis. Failure of a recipient to receive approval from the MTA to change or delay use of the Scholarship forfeits his/her right to the Scholarship. The Scholarship will be paid to the college or university at which the Applicant is enrolled, and the funds shall be disbursed at the beginning of each academic year. The recipient must be a full-time student at all times while receiving the Scholarship and must annually provide the MTA office with a copy of the most recent transcript indicating that the student has maintained a "B" average. Applicants will assemble and submit in one envelope the application (28K PDF File) and supporting documents. All letters of recommendations and transcripts are to be returned to the Applicant in sealed envelopes. Applicants will enclose the sealed envelopes with their application and mail it to the MTA office in one large envelope. All applications and submitted materials become the property of the MTA. a typed letter of recommendation from an individual of the Applicant's choice. a summary of the Applicant's past involvement in the sport of tennis, and any other information which the Applicant feels may assist the Selection Committee in evaluating the application. All applications must be received at the MTA office on or before April 15.